POLK COUNTY -- The Polk County Sheriff's Department has released the names of those involved in the early morning fatal crash in Polk County. (Press Release) -- The driver of the Honda Odyssey van has been identified as Richard Xiong, a 30 yoa male of St. Paul Minnesota. 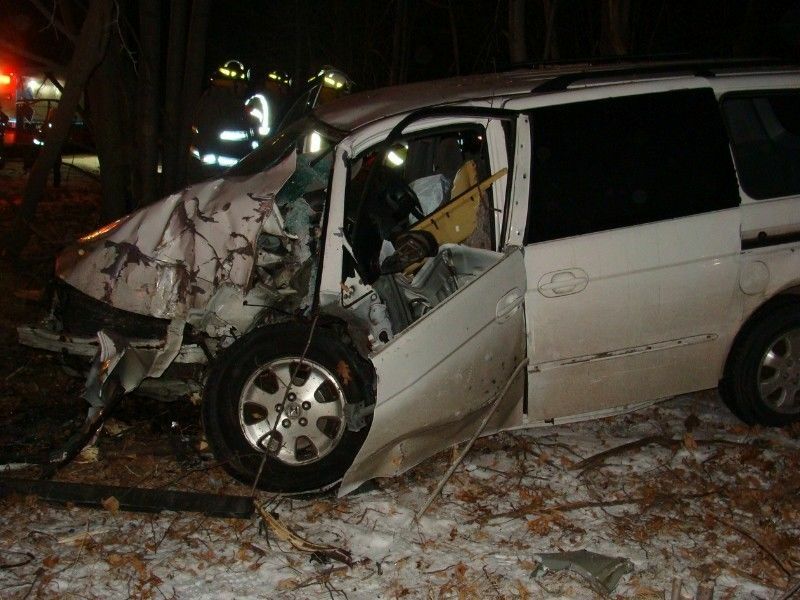 Richard Xiong was not wearing his seat belt at the time of the crash. The front seat passenger was identified as Kai Xiong, a 29 yoa male from St. Paul Minnesota. Kia was flown from the scene to the Twin Cities metro area for his injuries sustained in the crash. POLK COUNTY — A report of a major accident in the early hours of Sunday morning has resulted in the death of one person, according to the the Polk County Sheriff’s Department. (Press Release) — On the morning of January 27, 2019 at approximately 3:44 AM, Polk County Sheriff’s Department Dispatch Center received a report of a major accident near the intersection of USH 8 and Highway 63. Units responded and located a white, Honda Odyssey van entangled in the wood line on Northeast corner of that intersection. Preliminary investigation of the accident determined that the van was northbound on STH 63 at a high rate of speed, failed to stop at the stop sign, and went through the intersection. The van left the roadway and crashed into the tree line. The passenger was the reporting party on 911 and indicated the driver was trapped and not breathing. Turtle Lake Fire Department responded with extrication equipment. The Polk County ME, John Dinnies, pronounced the driver deceased at the scene at 0500. A scene landing was performed by Life Link Air Medical. Life Link transported the passenger to Regions Hospital in the Twin Cities. Names of the driver and passenger are currently withheld, pending family notifications. The Polk County Sheriff’s Department would like to thank the following agencies for their assistance: Turtle Lake Fire and First Responders, Barron County Sheriff’s Department, Cumberland Ambulance Service, Life Link, Davis Towing and the Polk County Medical Examiner’s Office. The crash is still under investigation by the Polk County Sheriff’s Office.